There are a few places to buy purpose-built Linux laptops but they can cost you more than the Windows notebooks. Three companies offer Linux preinstalled laptops, and other companies offer you repackaged systems from HP, Lenovo, ASUS or Dell that involve Linux distributions adjusted for that one certain laptop. Dell XPS 13 is the smallest 13” laptop that comes with FHD or the optional UltraSharp QHD+ resolution (3200×1800)with remarkable details with over 5.7million pixels (276 ppi). Dell XPS 13 is touch friendly. It contains 7th generation Intel Core i3, i5 or i7 processors and has plenty of room for file storage with up to 512 GB SSD drive. It’s preloaded with Ubuntu 14.04 LTS 64-bit (If not then it will be simple to install Linux). Includes strong battery (life up to 22 hours continual use of productivity applications as Word or Excel, or 11h constantly browsing the web). Memory can be upgraded to 64 GB. Dell Precision 3520 is affordable 15,6” HD (1366×768), FHD (1920×1080) or FHD touch mobile workstation with enhanced performance features. It is run by the 7th generation Intel Core i5 or i7 and Xeon processors that extract powerful performance with memory speed up to 2400MHz. This laptop has amazing NVIDIA Quadro M620 graphics card including 2 GB of memory with NVIDIA graphics options, it is preloaded with Ubuntu 16.04 LTS, memory is up to 32 GB and 2 TB of storage. Has ECC memory and Thunderbolt 3 technology that brings four times the data and twice the video bandwidth of any other port type while also supplying power. New, worth pointing out are Dell laptops Precision 7520 and Precision 7720. They will be released this year in March. Bonobo WS contains a 7th generation i7 Intel full desktop processor, extreme graphics with dual NVIDIA GTX 10-Series graphics card, memory up to 64 GB Dual-channel DDR4 @2400 MHz, up to 10 TB of storage and 2x M.2 SATA/PCIe, 2x 2.5” 7mm height drive.It is in no way, shape or form, a small laptop. It weighs 8.6 lbs and runs impeccably on Ubuntu 16.04.2 LTS or Ubuntu 16.10 operating system. Bonobo WS is 17,3 – inches 1080p or HiDPI matte display with a beautifully multicolor backlit keyboard. Serval WS is 15” or 17” 1080p matte IPS display powered by an Intel Core i7 (7th generation) desktop processors with memory up to 64 GB Dual-channel DDR4 @2400 MHz. In addition to great memory and processor, the Serval WS also includes NVIDIA GeForce GTX 10-Series graphics card and NVMePCIe SSD options. Serval WS comes with Ubuntu 16.04.2 LTS (64-bit) or Ubuntu 16.10 (64-bit). While the Lemur is System 76’s base model with 14.1” screen size, you can supply it with an i7 to exchange the default 2.1 GHz Intel Core i3, the stock 4 GB of RAM can be improved to 8 GB or even 16 GB. The default 500 GB hard drive can be elevated for numerous SSD options and also insert in a second hard drive. You can modify the hardware anywhere from the base $650 all the way up to $2000+ if you max out all the possibilities. 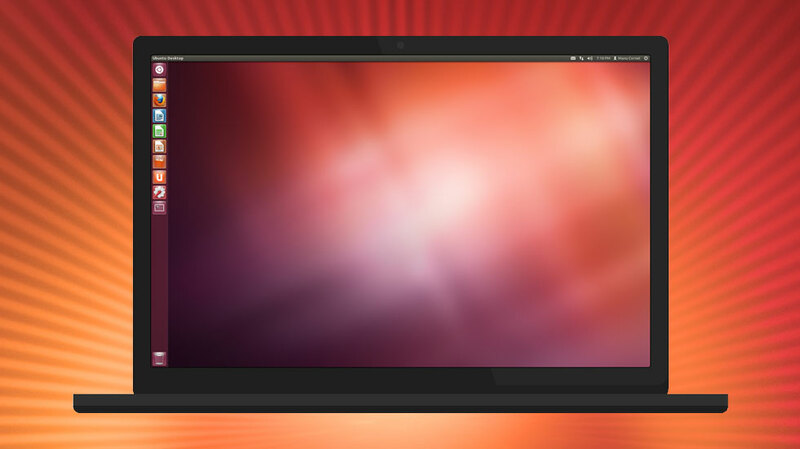 Lemur comes with pre-installed Ubuntu 16.04 or Ubuntu 14.04.4 system and battery life is up to 5 hours. Verix 6440 is powered by latest generation Intel i7-6700HQ 2.6 to 3.5 GHz processor with 4 cores and 8 threads. Memory can be upgradeable up to 32 GB DDR4 and storage up to 3 TB. Also, a high-definition IPS display and NVIDIA GTX 1060m with 6 GB DDR5 graphics card are a perfect match in this laptop. It runs effortlessly on any Linux distribution. If you are specifically looking for Ubuntu pre-installed, Lenovo makes some nice laptop. Note that these models also have Windows variant. However, on the Lenovo website, you can find Ubuntu variants as well. Lenovo ThinkPad X1 Carbon comes with a 4th generation Intel Core i5 or Core i7 processor and Intel HD graphics 4400, a 1920×1080 with a matte finish screen, 8 GB of RAM (up to 16 GB) memory and a lightning-fast 128 GB SSD drive (possible upgrade the Laptop’s M.2 SSD). It is preloaded with Ubuntu operating system, has storage up to 512 GB memory. The X1 Carbon delivers up to 15.5 hours of battery life, and weight just 2.51 lbs, which is the smallest and thinnest Ultrabook yet. Includes Thunderbolt 3 technology. Lenovo ThinkPad T440s comes with the 4th generation Intel Core i7-4600U or i5-4200U processors. With high-class Power Bridge technology, ThinkPad 440s has two batteries which can be swiped without shutting down. It contains Intel HD graphics card 4400 with docking connector, RAM memory up to 12 GB and storage up to 1 TB HDD/ 512 GB SSD drive. 14” display can be HD+, FHD or FHD Touch anti-glare. Comes with Ubuntu preloaded. Not many mainstream laptop manufacturers have a Linux preinstalled version of their products. But some do have and there are many other not-so-mainstream providers of Linux preinstalled laptops, netbooks and PC’s. Dell is obviously the most famous among Laptops/PC manufacturers in Linux circles primarily because of its preinstalled Ubuntu offerings. Eventually, thanks for exploring and surely this post will very helpful for people when it comes to make their genuine choice. I must say Dell has everything for everyone. They produce good products in each user stream. Thanks for your feedback Amar. I hope you enjoyed our research.